The bill was eventually passed in a manner never used before for a bill this size leading many to say it never really was passed. When it went to Supreme Court, new Justice Kagan never recused herself. She had been involved in the legislation prior to becoming a Supreme Court Justice and in any other situation a person of integrity would have to recuse themselves, but not Kagan, her vote was needed to keep Obamacare alive. The bill would never have made it through the Supreme Court without her vote. Ultimately the Supreme Court ruled that Americans could be forced to purchase something and in this case it was insurance. The Obama administration argued that this was a tax, something they said it wasn’t to get it passed. Justice Scalia said that the court with their decision could now force Americans to buy broccoli. In response to the ridiculous and scandalous decision Scalia referred to the logic from the supporting Justices as ‘jiggery pokery’. 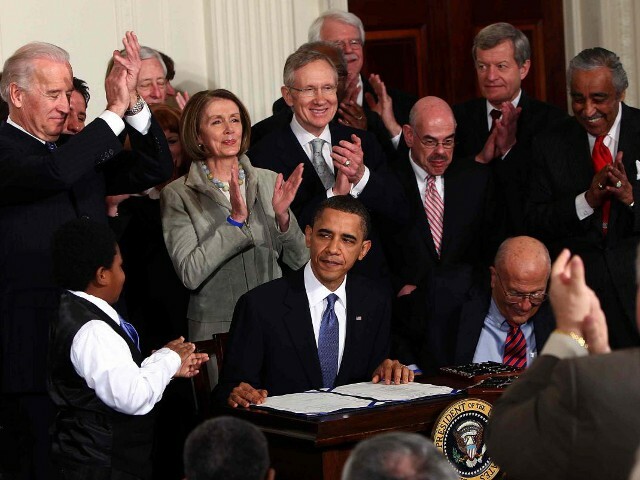 the Obama administration went through “tortuous” measures to keep the facts about the legislation from the American people, including covering up the redistribution of wealth from the healthy to the sick in the legislation that Obamacare is in fact a tax. The video of his comments just recently surfaced ahead of the second open enrollment period for Obamacare at Healthcare.gov. Obamacare has been as bad or worse than predicted. Healthcare insurance premiums are rising at astronomical rates and insurance companies can’t stay in the healthcare business without either huge losses or increasing premiums. The nation’s largest health insurer, fearing massive financial losses, announced Tuesday that it plans to pull back from ObamaCare in a big way and cut its participation in the program’s insurance exchanges to just a handful of states next year – in the latest sign of instability in the marketplace under the law. UnitedHealth CEO Stephen Hemsley said the company expects losses from its exchange business to total more than $1 billion for this year and last. What an absolute mess Obamacare is. Now the Daily Signal Reports that Obamacare has not provided healthcare for the 20 million that Liberals use in an effort to support Obamacare. The number is much less because most the people who have received healthcare that did not have it before Obamacare receive care through Medicaid and their care is inferior to healthcare provided in the private sector. What a mess. Trump cannot repeal and replace this law fast enough.